In 1987, Julia Boyer Reinstein, historian and architectural preservationist, donated over 80 quilts and bed coverings to The Buffalo History Museum. Early on in her life, Julia became fascinated with quilts and believed in the importance of documenting their histories. She received a Bachelor’s degree in History from Elmira College for Women in 1928, writing her senior thesis on early American quilts. Beginning her collection with family quilts, she focused her collecting goals on quilts made west of the Genesee River. Remarkably, only twelve of the quilts in her collection were purchased, the rest were given to her as gifts or through inheritance. Pictured is a red and white Chimney Sweep quilt from Julia Boyer Reinstein’s quilt collection, also known as an Album or Autograph quilt. It was pieced together by Eliza Graves (later Pickett) between 1852 and 1853, and was assembled and completed in 1854, in Perry, NY. Eliza Graves, pictured above, was Julia Boyer Reinstein’s great grandmother. The Chimney Sweep pattern was very popular for Album quilts in the mid-19th century because a name or inscription could be written on the central cross of each block. According to oral histories from the family, the blocks of this quilt were originally autographed, in pencil, by the young men of Castile, NY. Before Eliza could embroider the names, she became engaged to Daniel Pickett. Once she assembled the quilt, she chose to wash out all of the names, eliminating the memory of her previous suitors. The quilt is backed with her own handspun and hand-loomed cotton. Every wonder what the story is behind that little building across from The Buffalo History Museum lot? Well here are some fun facts to learn more about The Julia Boyer Reinstein Center! • The Reinstein Center is on the National Register of Historical Places. • Built in 1920 for Leonard Adams. Mr. Adams helped to design the house, which he used as both a residence and a music studio before his death in 1984. • Purchased in 1989 by The Buffalo History Museum as a project of the “History Lives here” capital campaign to serve as office/meeting space. • The Historical Rehabilitation project was completed August 1, 1992, by Hamilton Houston and Lownie Architects, P.C. • The building was named after Julia Boyer Reinstein. Dedicated to both history and libraries, Julia Boyer Reinstein served as the Cheektowaga town historian for many years and was active in the creation of numerous town historical societies across WNY. 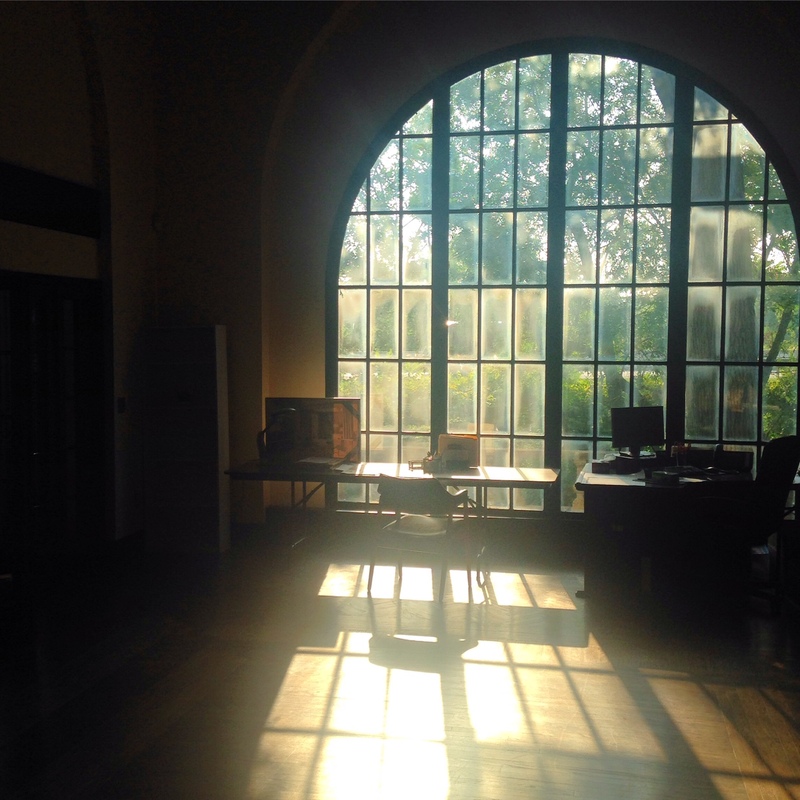 • The contributions of Julia Boyer Reinstein and others throughout the community made the purchase and historical rehabilitation of the building possible. • A full-length portrait of Julia Boyer Reinstein painted by local artist Mary Smith hangs on the landing of the split staircase. • The Reinstein Center features two meeting rooms (40 people/15 people). The larger room is graced by an arched window measuring approximately 12’x 12’. The window sits in an “Architectural Frame” that centers the window both in the main room and across the outside of the building. 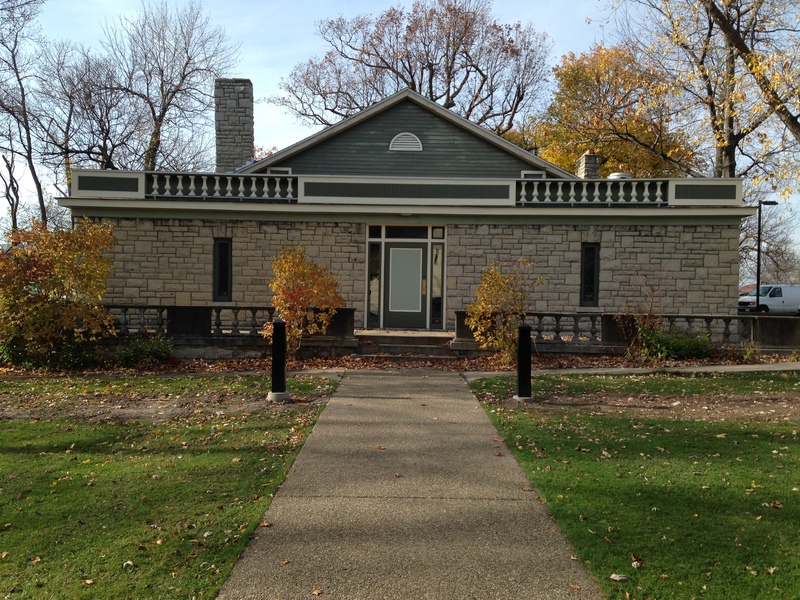 • In 1994, the Landmark Society of the Niagara Frontier awarded the Pewter Plate Award to The Buffalo History Museum in the recognition of the Julia Boyer Reinstein Center as an exemplary restoration and adaptive re-use project. Tuesday 10:00 a.m. - 5 p.m.
Wednesday 10:00 a.m. - 8 p.m.
Sunday - 12:00 Noon - 5:00 p.m.